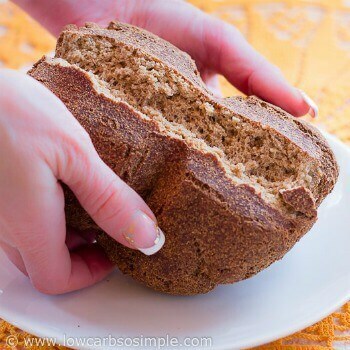 Want to have a little bread on low carb? 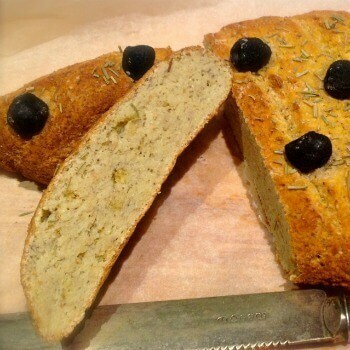 Have you tried bread made with psyllium? 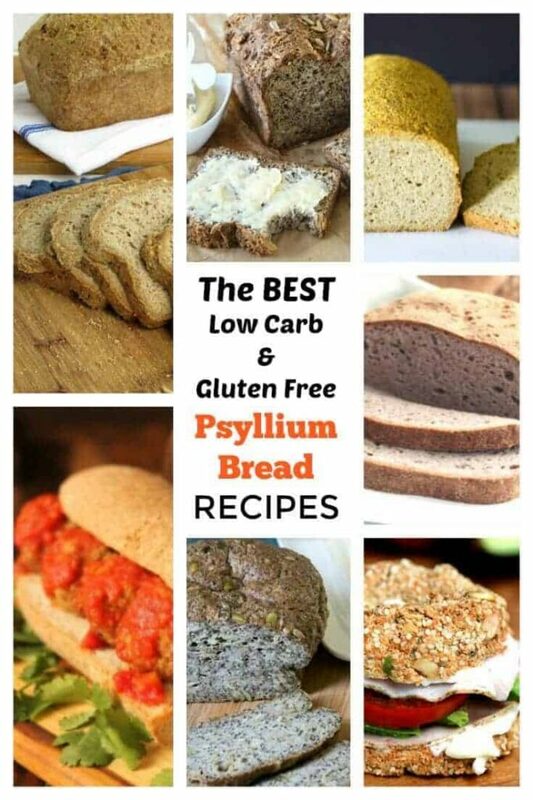 Here’s a collection of the best low carb psyllium bread recipes. Disclosure: I received a free Mockmill in exchange for my original thoughts on the product. All opinions are my own. 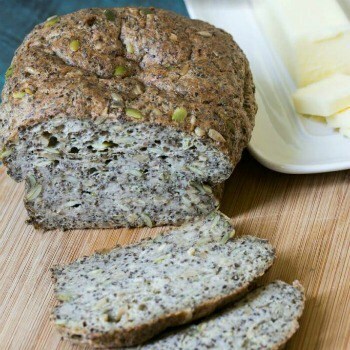 I’ve been wondering if it would be useful to have a grinding mill to finely grind low carb ingredients like psyllium husk and sesame seeds. 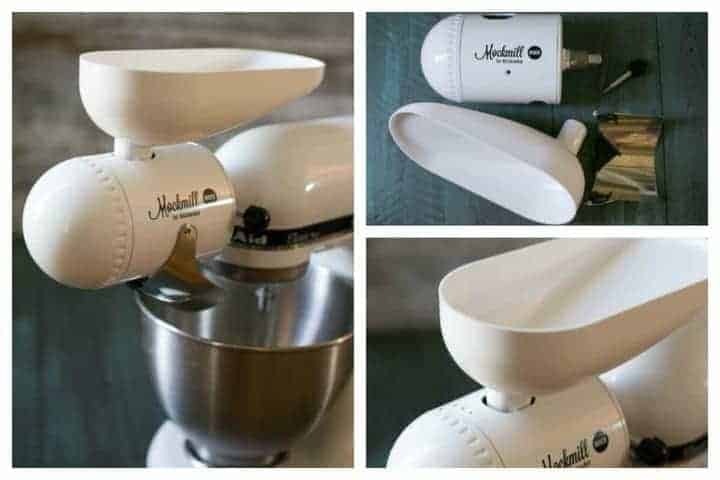 I recently learned about the Mockmill that attaches to any KitchenAid mixer. And, I was given one to try out for review. I have never used a mill before. Most people use them to mill their own grains like rice and wheat. 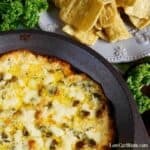 Since grains are typically avoided, I was curious how a stone mill would work for on some of the low carb ingredients I use. However, the first thing I used the mill for was to finely grind up some white rice. It was suggested to use rice as it cleans the stones prior to using. I was pretty impressed how well the mill worked to turn the rice grains into a fine powder. I quickly learned that some ingredients, like sunflower seeds, won’t work in the mill. Oily seeds and nuts are easily turned into butter inside the mill and will just clog up the grooves in the stones. When this happens, you’ll just have a mess that requires opening up the mill to access the stones. Once you take the mill apart, you’ll find seed butter in all the stone grooves. So, I moved on to some whole psyllium husks. Since psyllium contains no fat, I knew that it wouldn’t have any oils that could be released in the mill. I was right. The psyllium went through the mill without issue and did come out in as a finer powder. 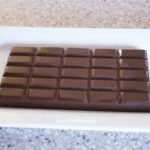 You can see how well the Mockmill did in the video below where I took whole psyllium husks and milled them into a fine grind. If you’re interested in learning more about the Mockmill mixer attachment, there’s more information here. 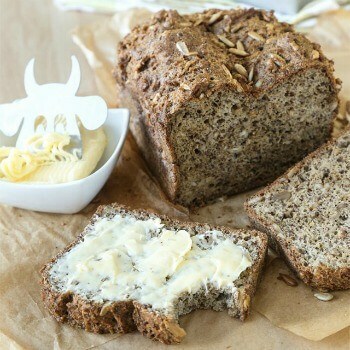 You may wonder why anyone would want to use a mill when ingredients like flax and psyllium are sold pre-milled. 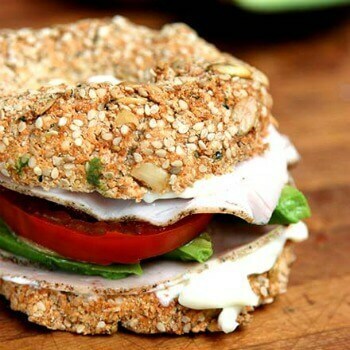 However, the ingredient will be much fresher if you mill it just before using. 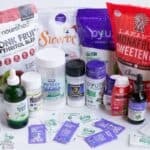 This is also true of psyllium husk which is something I buy whole and grind as needed. Typically, I just use a coffee grinder. But, it takes a while as you have to work in small batches. What would you do with all the freshly milled psyllium husks? 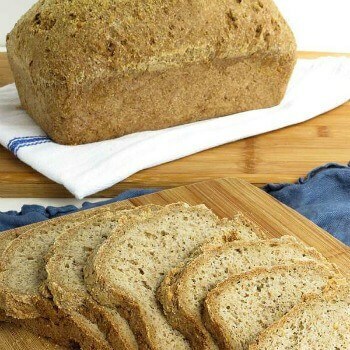 Make bread of course. 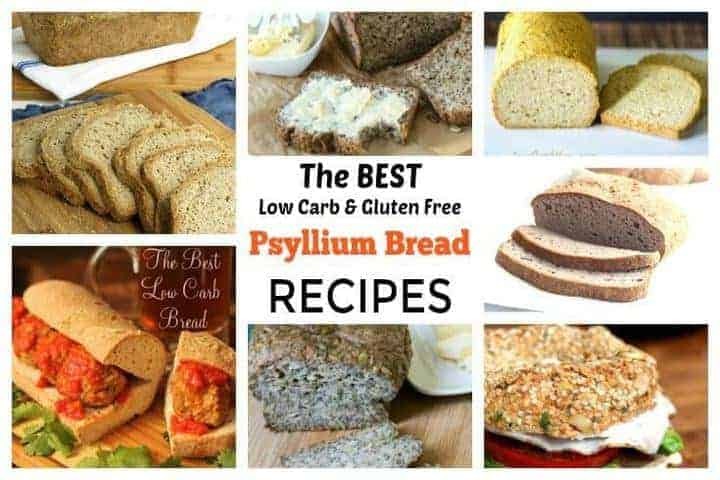 To help you out, I’ve gathered up the best low carb psyllium bread recipes from my favorite bloggers! 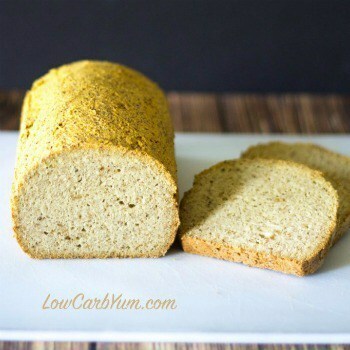 The coconut flour psyllium husk loaf looks like “real” bread – I’m going to give it a try. 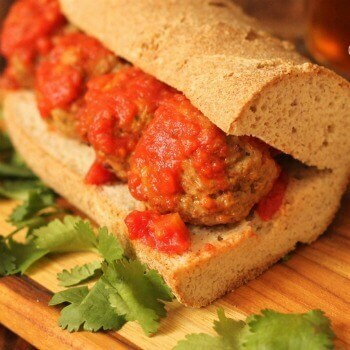 Are there active links to the bread recipes? 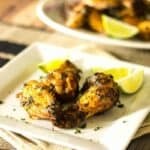 I can’t access the recipes through links. Most of them are working for me. I’ll fix any that aren’t working. They are all working here. I can add links to the photos. Maybe those will work.